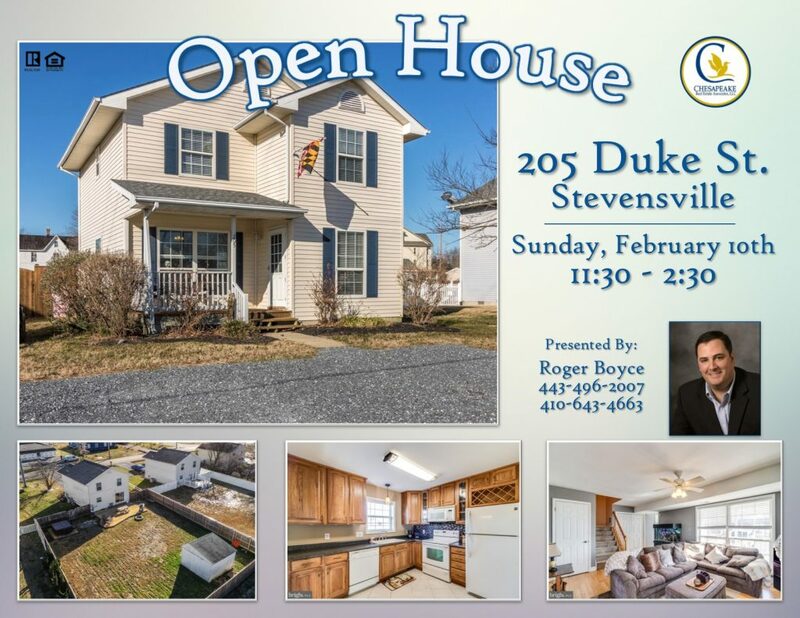 Join Roger Boyce this Sunday, February 10th, at his Open House in Stevensville! This home boosts bamboo hardwood floors downstairs, tiles in baths and kitchen, freshly painted and MOVE IN READY! Large deck of back to enjoy a nice size yard with fully fenced 6' privacy fence. And the LOCATION is easy for commuters being just minutes from the bridge. Walking distance to shops, restaurants, library, and more! Roger Boyce will be there this Sunday from 11:30-2:30 Be sure to stop on by! Look around, ask questions, see yourself living here, and make an offer!